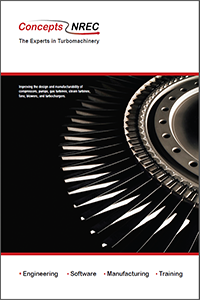 In addition to contract manufacturing complete turbomachinery products for you, Concepts NREC manufactures and sells specialized turbomachinery products that serve well-defined niche applications. This unique engine-driven compressor (EDC) provides pressurized and conditioned cabin air under varying conditions for a specific class of aircraft. The complete EDC was developed and manufactured by Concepts NREC to offer significant advantages over main-engine bleed systems and has been used for several years as a retrofit upgrade for certain turboprop aircraft, enabling them to fly higher and carry a larger payload. 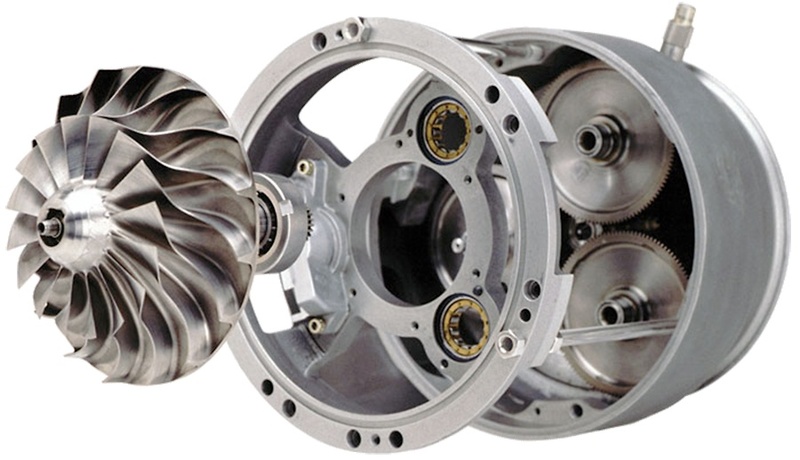 The EDC consists of a single-stage centrifugal compressor driven through an integral gearbox and is equipped with variable inlet guide vanes that can modulate both pressure and flow at the same time. The EDC is currently used on turboprop aircraft by taking power off the accessory gearbox, but could also be driven by an electric or hydraulic motor. Originally developed by Concepts NREC as an aircraft refrigeration system, this environmentally friendly DeepChill™ machine uses air as the refrigerant in place of CFCs or other harmful coolants. In addition to operating with zero CO2 emissions, both the system cycle and hardware are void of any harmful chemicals that might contribute to depletion of the ozone layer. While producing low-temperature air in the range of minus 60°F to minus 120°F, the system offers better efficiency than more traditional refrigeration cycles such as Cascade-, LN2-, and Ammonia-based systems, making air cycle refrigeration well suited and safe for food processing.